It is my great pleasure to introduce our colleague Patrick Hogan (NASA) as our GeoAmbassador. NASA has a motto, ‘for the benefit of all.’ In this spirit, NASA World Wind helps the world advance innovative solutions for spatial data in the realm of free and open source software, as well as proprietary. In recognition of this work, Patrick was awarded the NASA Exceptional Achievement Medal. Patrick graduated in 1985 with a Masters in Earth Science and a teaching credential and was a High School science teacher for a couple years and then, as a licensed Professional Geologist and Registered Environmental Assessor, did geo-tech subsurface cleanup work for major refineries and the mining industry. Patrick is a former commercial deep sea diver and pilot, as well as a big fan of the Italian Renaissance. The Europa Challenge has always had Europe’s INSPIRE Directive to guide project development. This year we continue to have INSPIRE guide us and more specifically, we are looking for solutions specific to urban management. The CitySmart Europa Challenge is challenging the world’s *best and brightest* to deliver sustainable solutions serving city needs. Almost every city needs the same data management tools as every other city. 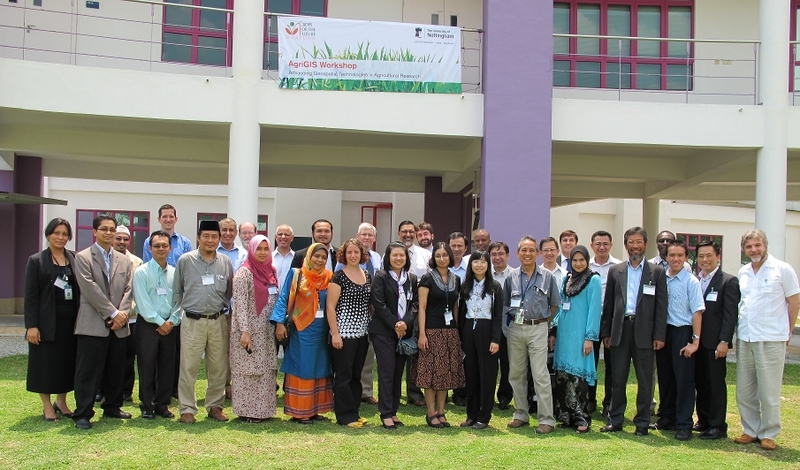 How can we help cities work together to be more sustainable, more livable and more resilient? If cities were able to share their solutions with each other, this would multiply their investment by the number of cities participating. Each city could develop different functionalities and then ‘share’ these with each other, massively increasing our planet’s collective productivity. This challenge is open to all on our home planet. Students and SMEs are welcome to join the competition this year. This year’s Europa Challenge is an excellent opportunity for the global community to begin working in collaboration and prepare for the increasing climate change scenarios in cities context. Students are our future and looking at previous year’s contributions from Global Earthquake forecasts systems (developed by some high school students from Alaska who went on to win the first prize in 2015 and 2016!) to Urban Traffic Visual Analytics Simulator , it just shows the amazing contributions of these students and SMEs made for the global good and for the benefit of all. Those interested in being part of this global enterprise, please subscribe here http://lists.osgeo.org/cgi-bin/mailman/listinfo/opencitysmart . Your participation is very welcome. We look forward to your strong participation for the NASA CitySmart Challenge 2017and joining our mission to make geospatial education and opportunities available for all. Geo for All is a worldwide movement that provides immediate benefit to the world. We aim to create openness in Geo Education for developing creative and open minds in students which is critical for building open innovation and contributes to building up Open Knowledge for the benefit of the whole society and for our future generations. We are proud to honour Patrick as our GeoAmbassodor and we are extremely grateful for his contributions to Geo for All. I am grateful for this opportunity of introducing some of our amazing colleagues from different parts of our world each month as our GeoAmbassadors and get inspired by their amazing work and contributions for the wider community. It is my great pleasure to introduce Dr. Peter Mooney as our GeoAmbassador. Peter Mooney received his PhD in Computer Science in 2004 from Maynooth University. The topic of his PhD research was on shortest path optimisation. For the next number of years he worked with the Irish Environmental Protection Agency as a Research Fellow. During this time he began working in the areas of FOSS4G, Open Data and Volunteered Geographic Information (VGI). Indeed Peter has been actively working as a researcher in the area of VGI and Citizen since 2009. With the EPA he has worked as a web developer, database administrator and more recently as a software developer for the National Ambient Air Quality network. In 2015, Peter took up a temporary position as lecturer in Computer Science at Maynooth University and in early 2017 he was appointed as a tenure track lecturer. In the summer of 2015 he became the European Co-Chair of GeoForAll with Prof. Maria Brovelli. Peter led a strong Irish proposal to host the global FOSS4G 2016 conference in Dublin but narrowly missed out to the fantastic Bonn FOSS4G 2016 bid. With colleagues in 2017 he is working to establish the first Irish OSGeo Local chapter. At the end of May this year there will be the first Irish OSGeo event with the 1st Irish OSGeo Symposium . – OSGeo Rebranding project – Peter has volunteered to give input from an academic perspective, making sure the website/rebranding supports the work we do with GeoForAll. He will also be providing a perspective from OSGeo local chapters. – In Peter’s other teaching activities to undergraduate and postgraduate courses he focuses on always using open source software and open data. For example in teaching Database Technologies to undergraduates he uses PostgreSQL and uses openly accessible data from sources such as OpenStreetMap for the purposes of examples. – He encourages all of his research students to use the OSGeo Live Lubuntu O/S distribution for their work. – His own research work focuses on developing methods to assess the quality of VGI and CS data, emphasis their usability and fitness for purposes, and the use of FOSS4G and OpenData as complimentary/ integrable components to official or authoritative processes. We are proud to honour Peter Mooney as our GeoAmbassodor and we are extremely grateful for his contributions to Geo for All and this selfless contributions for expanding geoeducation opportunities for all. It is my great pleasure to introduce Michael P. Finn as our GeoAmbassador. 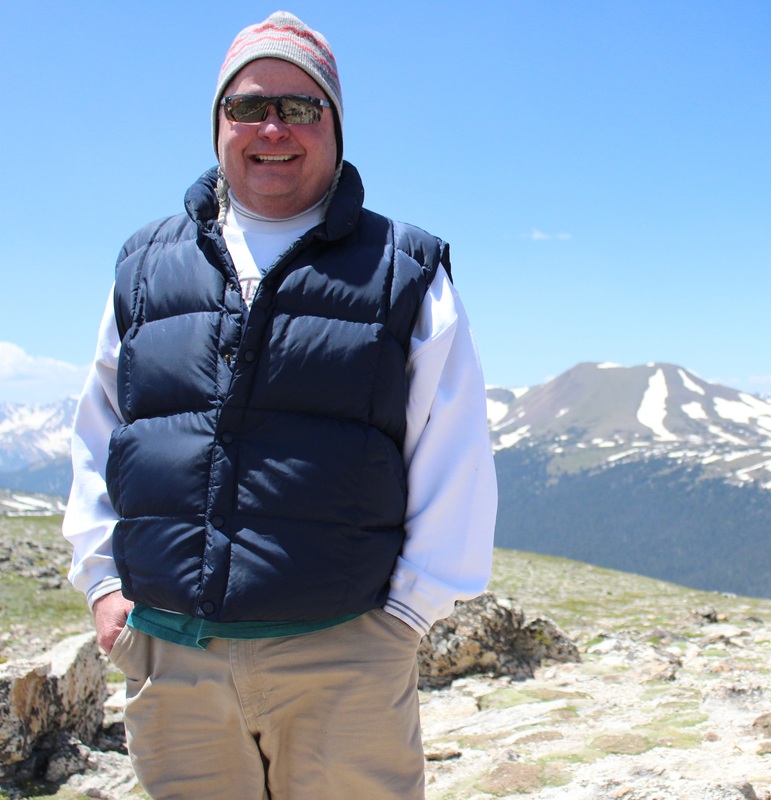 Michael P. Finn is a Research Cartographer in the U. S. Geological Survey’s Center of Excellence for Geospatial Information Science. He holds a BS in Geography with a Minor in Cartography and Map Technology from Southwest Missouri State University (now Missouri State University) and an MS in Civil Engineering from Virginia Polytechnic Institute & State University. Mike has worked as a Computer and IT Specialist, and a Research Cartographer with the US Geological Survey for the past 17 years. He also has 10 years of experience with the US Air Force and 7 years with the Defense Mapping Agency. Mike serves or has served on the Boards of Directors of the Cartography and Geographic Information Society (CaGIS), the American Society for Photogrammetry and Remote Sensing (ASPRS), and the Cyberinfrastructure Specialty Group of the Association of American Geographers (AAG). He has also served as the Director of the GIS Division for ASPRS. Mike is currently serving as President of CaGIS after serving as President-Elect in 2015 and Vice President in 2014. In addition, Mike is a member of the Editorial Board for the journal Cartography and Geographic Information Science. For international scientific service, Mike is currently serving as Vice-Chair of the International Cartographic Association (ICA) Commission on Open Source Geospatial Technologies for the 2015 – 2019 term. In addition, he is and has been an active member of the ICA Commission on Map Projections. Previously, Mike served as a Co-Chair of the International Society for Photogrammetry & Remote Sensing’s (ISPRS) Technical Commission IV (TC – Geodatabases and Location Based Services), Working Group 4 (Geospatial Data Infrastructure) for the XXIIIrd ISPRS Congress (2012 – 2016) and Co-Chair of the TC IV (Geodatabases and Digital Mapping), WG 1 (Geospatial Data Infrastructure) for the XXIInd ISPRS Congress (2008 – 2012). His research interests are in data-intensive and high-performance computing for scientific applications using digital geospatial data; in geodesy, spatial coordinate systems, and map projections; in quantitative approaches to imaging in environmental modeling and GIS. Mike is the Principal Investigator for CEGIS’ research project for Data-Intensive and High-Performance Computing. The principal objective is to explore data-intensive and high-performance computing, particularly within the CyberGIS domain, to support lidar and spatial data processing for te 3D Elevation Program (3DEP) of the US. A second objective is to investigate big data approaches and workflows with lidar and 3DEP as well as other big data integration with other USGS science data. I want to thank Mike for all his contributions to GeoForAll community. I understand Mike will be retiring from government service later this year but i am sure he will be closely involved with GeoForAll activities as before. We are proud to honour Mike as our GeoAmbassodor and we are extremely grateful for his contributions to Geo for All. It is my great pleasure, to introduce our colleagues at Faculty of Civil Engineering, Department of Geomatics, Czech Technical University (CTU) in Prague, Czech Republic as our “GeoForAll” lab of the month. CTU is one of the founding labs as part of the worldwide network of OSGeo laboratories following the motto Geo for All. The GeoForAll Lab  (formerly OSGeo Research and Education Laboratory) is located at the Czech Technical University in Prague, Faculty of Civil Engineering, Department of Geomatics, Czech Republic. 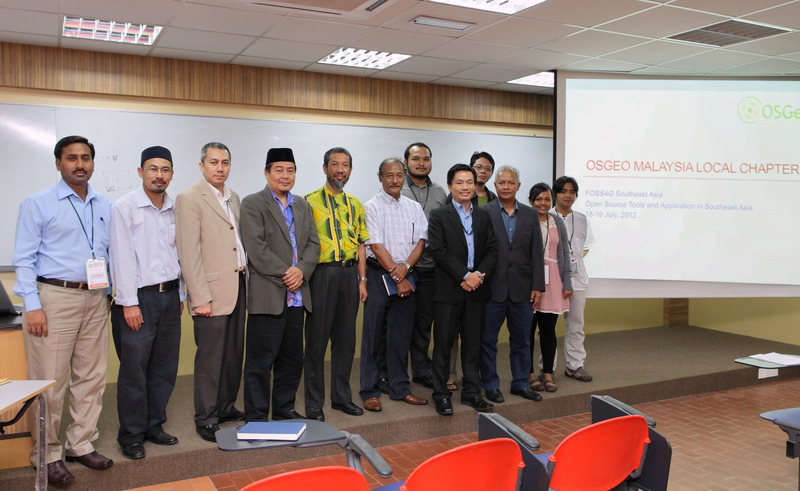 Their mission, as one of the laboratories in the OSGeo worldwide university network, is to develop collaboration opportunities for academic, industrial, and government organizations in open source GIS software and data . See the announcement and info at GIM) . The laboratory was established by Martin Landa and was the first lab to be established under the ICA-OSGeo MoU in Czech Republic. 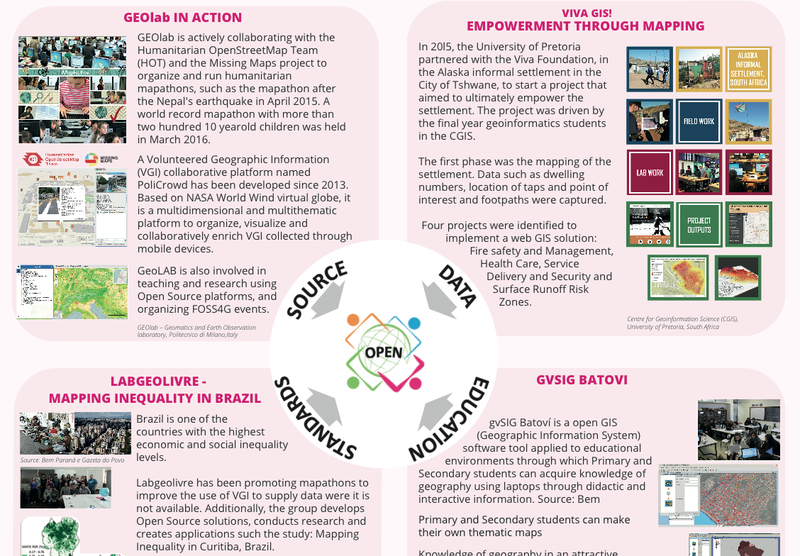 It has been expanding and providing support for the development and documentation of open-source geospatial software . 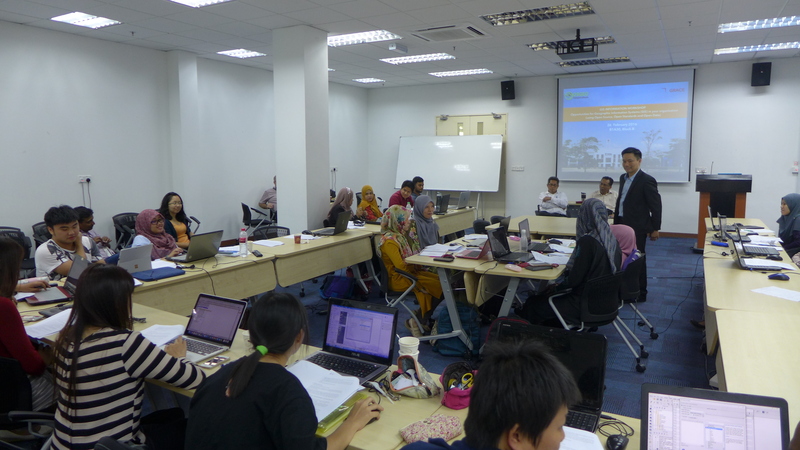 The laboratory is devoted to education in geoinformatics using FOSS4G, and to research in open source software development for geospatial applications. CTU in Prague has a strong track record in Geoinformatics . Prof. Aleš Čepek has established a study program in geoinformatics since 2005 (originally with Prof Leoš Mervart), he is the author of project GNU Gama and of a minor project GNU Sqltutor (both hosted at GNU servers) and the editor in chief of Geoinformatics FCE CTU journal . The major focus of CTU GeoForAll lab is software development. They are contributing to various international Open Source Geospatial Software projects, namely GRASS GIS, QGIS, and GDAL. 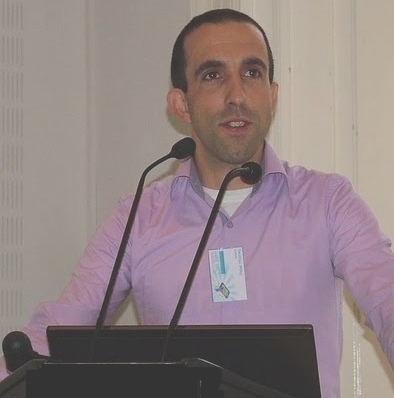 Martin Landa is an OSGeo charter member since 2011 and a member of the GRASS Development Team since 2006. 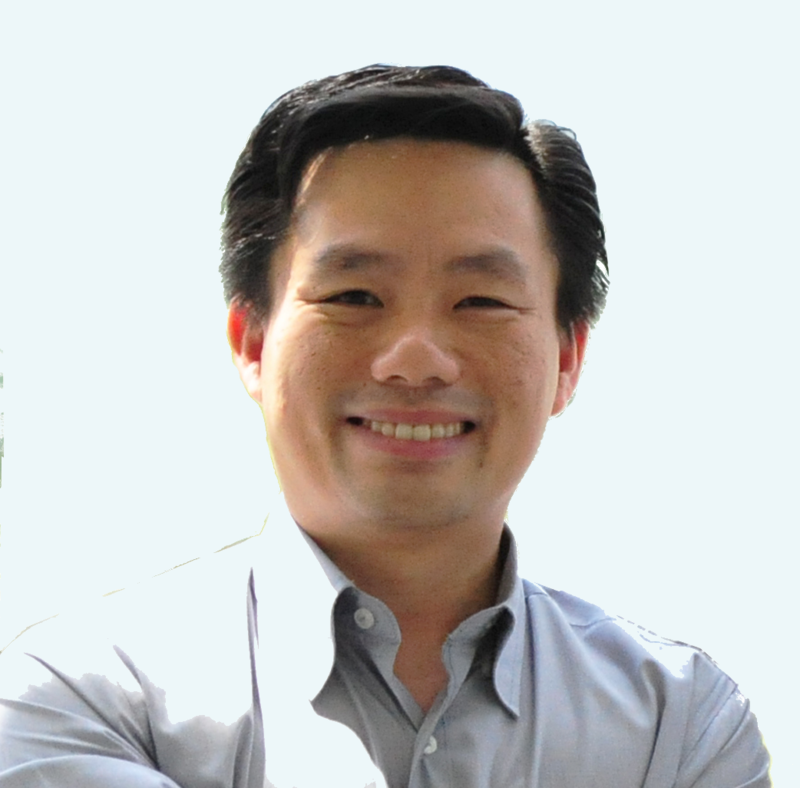 He is actively involved in the GRASS project as the lead architect of graphical user interface (GUI) development and PostGIS integration in GRASS vector architecture. I am impressed to see the excellent student projects done at CTU. For example for the Google Summer of Code 2016 , Adam Laža’s project on “Complete basic cartography suite in GRASS GIS wxGUI Map Display” and Ondřej Pešek’s project on “PyQt GUI generated from XML” are great exampes of contributions from the CTU sutdent community to the wider OSGeo community. I would like to thank Martin and all colleagues and students at CTU for their contributions to the GeoForAll initiative . We are looking forward to working and building more collaborations with all interested on this education mission. 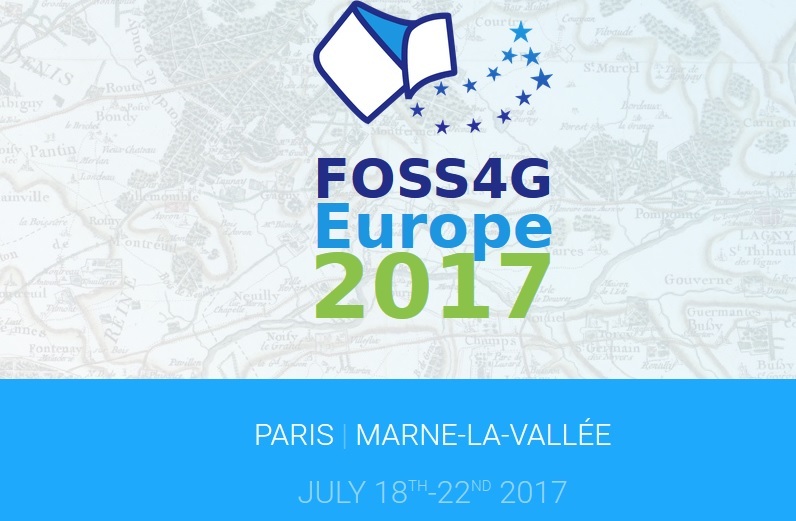 FOSS4G-Europe 2017 will be held at the National School of Geographic Sciences (ENSG) in Marne La Vallé, France, from July 18th to 22nd, 2017 . The third edition of the conference is organized at École Nationale des Sciences Géographiques (ENSG). Following an established tradition, FOSS4G-Europe organizes an academic track which will run as a single-track over one day. FOSS4G-Europe invites original research contributions scientific papers dealing with Open Data, Open Software, Open Hardware and Open Science in general are highly welcome. Submissions focusing on INSPIRE, Big Data and Societal Challenges are particularly encouraged. All types of papers are welcome, such as on results achieved, case studies, work in progress, and demos. We discourage, however, mere presentations of technology or use cases without properly justifying originality against the scientific state of the art and without particular novelty. Is Geographic Information Science Proprietary? It has come to my attention that some proprietary GIS vendors are doing big marketing of thier proprietary products as the Science! 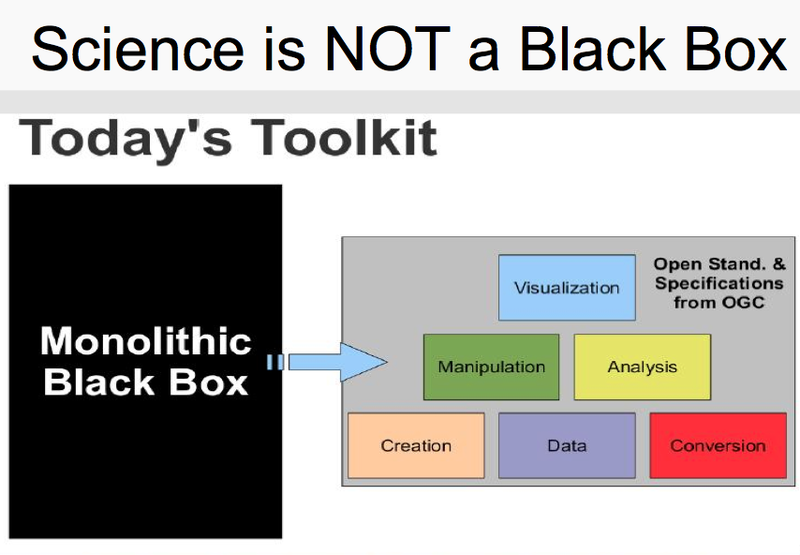 Science is not any specific GIS proprietary tools! GeoForAll is a global community of scientists, academics and teachers who are all working for expanding Open Principles in Science and Education. Our aim is to empower all academics and students worldwide. Openness is fundamental in harnessing the true potential of Geospatial Science and expanding digital economy opportunities for all . Open innovation is key in driving Digital Economy opportunities and we are determined to make sure that everyone benefits. For anyone opposing Open Principles in Education , i humbly request them to please consider supporting Open Principles in Education as education and empowerment are key for getting rid of extreme poverty and help create digital economy opportunities also for billions of our economically poor brothers and sisters across our planet . Access to quality education opportunities is everyone’s birthright. So do join us and let us all work together to enable open principles in education to help create a world that is more accessible, equitable and full of innovation and opportunities for everyone. GeoForAll is very happy to be part of these excellent global developments happening at all levels and dimensions.There is also strong synergies with UN OpenGIS Initiative. We encourage all to be part of the various calls from Global Food Security to SMARTIES Entrepreneurship competitions , to expand ideas. We welcome everyone interested to join synergies and work together to expand OpenCitySmart opportunities and enable Geo technologies in empowering communities and helping improving the Quality of Life and standards of living for everyone. Let us all work together to help create a world that is more accessible, equitable and full of innovation and opportunities for everyone. It is my great pleasure, to introduce our colleagues at GEOlab (Geomatics and Earth Observation laboratory, http://geolab.como.polimi.it) at the Politecnico di Milano, Italy as our “GeoForAll” lab of the month. GEOlab is a multi-disciplinary, multi-department research group established at Politecnico di Milano, Italy focused on collecting, modeling, analysing and representing Earth observations. Core research includes the following topics: GIS, cartography, global gravity models, GNSS (monitoring and navigation), remote sensing, photogrammetry, and signal processing. The GIS research group, lead by Prof. Maria Antonia Brovelli and Dr. Marco Minghini, is active in the research fields of Web Mapping, multi-dimensional visualization and virtual globes, spatial statistics, Volunteered Geographic Information (VGI), geo-crowdsourcing and Citizen Science. The team has a long and outstanding tradition in the use and development of open source geospatial solutions. The main software packages used include GRASS GIS, QGIS, PostGIS, GeoServer, MapServer, OpenLayers, Leaflet, PyWPS, istSOS, Rasdaman, and NASA World Wind. GEOlab is a great example of linking GeoForAll synergies with all key initiatives in Europe and globally. In addition to GeoForAll, GEOlab is officially affiliated to the AGILE network of laboratories. Members of the GIS GEOlab team are personally involved in a number of national and international associations, including SIFET (Italian Society for Photogrammetry and Topography), ASITA (Italian Federation of Scientific Associations for Environmental Information), GIT (Geosciences and Information Technologies), OSGeo (Open Source Geospatial Foundation), ISPRS (International Society of Photogrammetry and Remote Sensing), ICA (International Cartographic Association), HOT (Humanitarian OpenStreetMap Team), UN-GGIM (United Nations Global Geospatial Information Management) Academic Network, and UN Open GIS. Some projects which are currently ongoing or just finished include giCASES – Creating a University-Enterprise Alliance for a Spatially Enabled Society, funded by Erasmus+ programme of the European Union; URBAN GEO BIG DATA (Urban Geomatics for Bulk Information Generation, Data Assessment and Technology Awareness), funded by the Italian Ministry of Education; MIGRATE (MIGRation pATterns in Europe) and City Focus, developed within the MYGEOSS project, which has received funding from the EU H2020 research and innovation programme; and The Paths of Regina – Crossborder paths linked to Via Regina, funded by the Interreg Italy-Switzerland Co-operation Programme 2007- 2013. 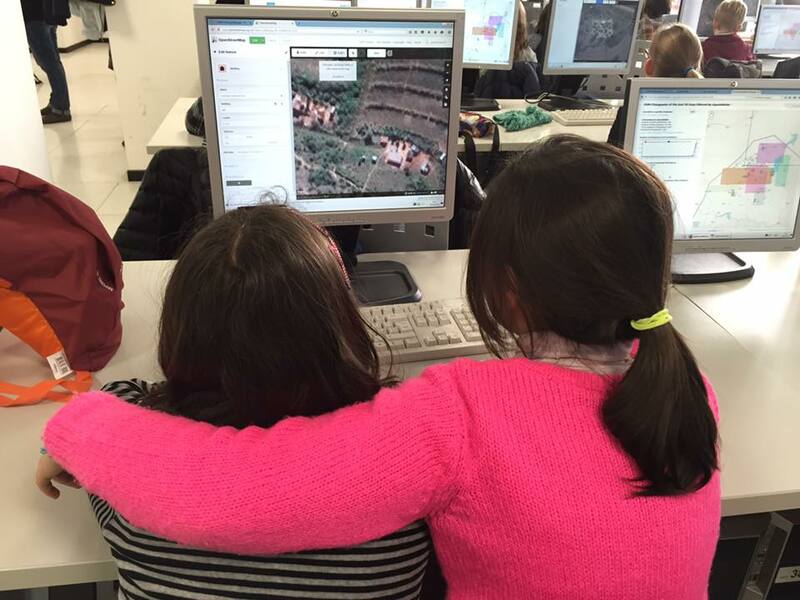 Members of the GEOlab team have recently founded PoliMappers, the first European chapter of the YouthMappers students’ network having the purpose of building a young generation of mappers through open source and open data (OpenStreetMap). GEOlab organized a number of activities for the last MeetMeTonight, a national event where all Italian universities opened their activities to the public. Also, members of GEOlab have participated as speakers to local TED events, see e.g. this speech of Prof. Brovelli at TEDxLakeComo 2015 and this one of Dr. Minghini at TEDxYouth@LakeComo in 2012. Since the first edition in 2013, GEOlab is among the organizers of the popular NASA World Wind Europa Challenge, which looks for urban management solutions developed using World Wind‘s open source technology and serving the EU INSPIRE Directive. 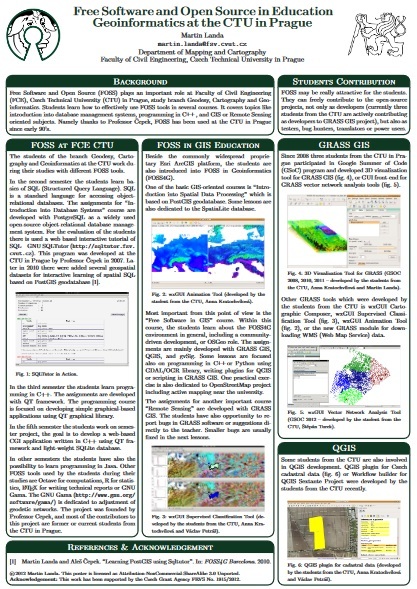 GEOlab has also organized a number of conferences in the field of GIS and open source geospatial software: the First Meeting of the Italian GRASS users in 2000, the WebMGS 2010 – 1st International Workshop on Pervasive Web Mapping in 2010, Geoprocessing and Services, and the FOSS4G Europe 2015. 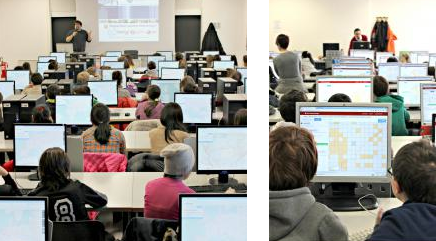 Finally, since 2016 a new MSc Degree in Geoinformatics Engineering (fully taught in English and welcoming students from all over the world) has been established at Politecnico di Milano, where GEOlab staff is primarily involved in teaching. On behalf of the GeoForAll community, we thank Maria, Marco and all colleagues from the GEOlab and for their contributions to the GeoForAll initiative and look forward to working and building more collaborations with all interested on this education mission.